UPDATE: We have been made aware that the sign bonus may actually be 25,000 Miles as of Monday with an annual fee. 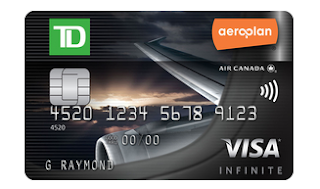 If you have been hemming and hawing about grabbing the TD Aeroplan Visa Infinite Card because the sign up bonus is only 15,000 miles with first year free then this should make up your mind. The new offer that will release on Monday will have the same bonus of 15,000 miles on 1st purchase but will not be first year free anymore! Get it now to get those 15,000 miles for no cost! • 100% Annual Fee Rebate for the first year (Primary Cardholder only) – that’s $120 in savings!